Table 90A is Alvar Aalto's timeless design from 1935. 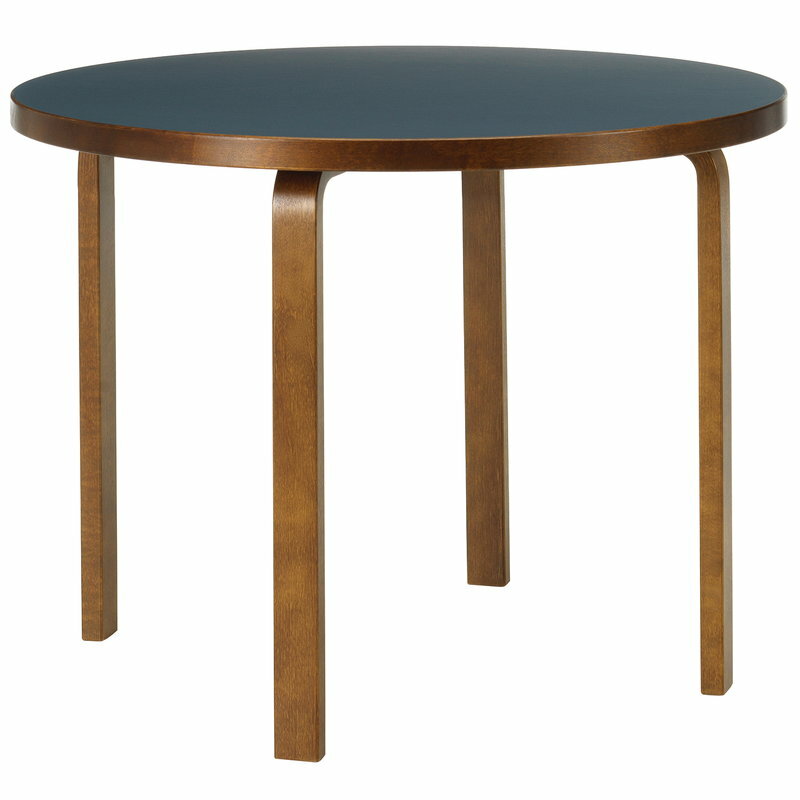 The round dining table combines walnut-stained birch with easy-care linoleum. Artek tables are based on different combinations of Alvar Aalto’s L-leg and table tops. Alvar Aalto introduced the bent L-leg for the first time in 1933 and it became a standard component of Aalto’s pieces of furniture. Judging his importance as designer and architect, Alvar Aalto considered as his greatest achievement the development of the L-leg. In his opinion its revolutionary character was comparable to the architectonic column. And actually he even called the L-leg as "the little sister of architectonic column". The development of the L-leg was really significant because it solved the problem of attaching chairs’ and tables’ legs directly to the table tops in a way never seen before – the leg could be fastened with screws directly to the table top and the final result was already in itself a solid structure. Comes flat-packed. 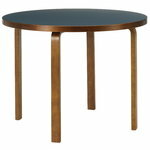 A lower 72 cm version of the table is available as a special order through our customer service.